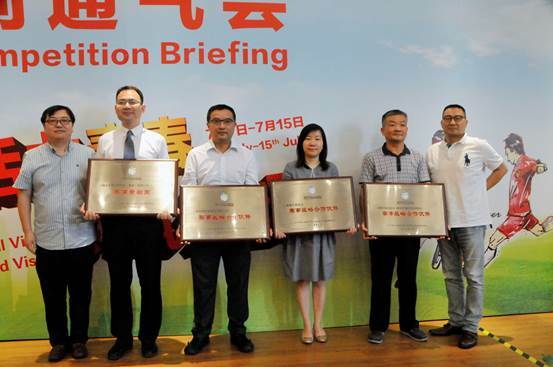 Special fund supporting "Football Boys"
At 2017 China (Shanghai) International Youth Campus Football Invitational Tournament briefing conference, held in the Second High School affiliated to the East China Normal University on the morning of July 4, Shanghai Soong Ching Foundation - Lu Jiaxian Gao Ying Special Fund won the title of "Tournament Strategic Partner". The special fund has aided annually one million yuan for three consecutive years in support of this increasingly influential event, which will effectively promote the friendship of teenagers between China and foreign countries and improve their football skills exchange. 2017 China (Shanghai) International Youth Football Invitational Tournament will officially kick off on July 7. Sixteen U17 teams from ten countries and regions will be divided into four groups in Yangpu, Xuhui, Qingpu and Minhang districts for the group games and the knockout games, and the finals will be held in Chongming district on July 14. During the tournament, a series of activities will be held, such as the international youth campus football summit, cultural exchange and elite training camp. More than 10,000 spectators are expected to come to watch the football matches.